You wouldn’t know it from observing most motorists’ driving behaviours, but the legal onus is much, much higher on them to watch out for and avoid colliding with pedestrians than it is on pedestrians to keep out of the way of motorists. Motorists owe a legal duty of care to pedestrians even when the pedestrian is the one who would technically be at fault under the rules of the road. Figuring out who is at fault between a motorist and pedestrian can be very clear and easy, such as a pedestrian wearing brightly coloured clothing who is hit almost all the way through a controlled crosswalk. Often, though, ICBC or another defending insurance company will use arguments to try to shift the blame away from the motorist they are protecting, who was obviously not paying attention to the important activity of driving, over to you, the victim. One thing that is always clear is that ICBC’s internal determination of fault has zero bearing in a court of law and should not be accepted without independent legal advice. Regardless of their internal determination, and even if ICBC initially accepts full responsibility on behalf of their insured motorist, liability can be raised and challenged down the road. If the evidence indicates that you have contributed, by some percentage, to the car-pedestrian collision, your entitlement to fair financial compensation is not eliminated, but rather is reduced by the percentage of that contribution. In every case, we take all necessary steps to investigate and preserve evidence so as to be armed to prove liability if it becomes necessary to do so, regardless of what liability position ICBC takes initially. 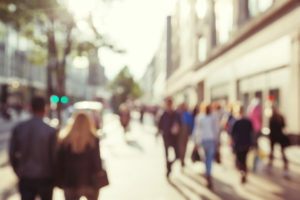 Pedestrian injuries often include fractures, permanent damage to joints and head injuries along with “soft tissue injuries” to connective tendons, ligaments and muscles. Early access to the best orthopaedic and other specialists, and fast MRI and other scans are desirable to achieve the fastest and fullest recovery possible. A lawyer is able to help by gaining access to those services and specialists at the expense of ICBC or another defence insurance company. To the extent we are unable to get you to a full recovery, we are here to pursue fair compensation for your injuries and losses that will regrettably extend into the future.